Nordstrom Beauty Trend Show! Fall Trend Show 2017! //Cheers Marie! - live life and enjoy! Nordstrom Beauty Trend Show! Fall Trend Show 2017! //Cheers Marie! For the record, yesterday was the best nordstrom trend show i ever attended!!!! I brought my daughter with me to the Nordstrom Fall Beauty Trend Show 2017! I've been in a handful of trend show already but yesterday was the best! It started when we go there and end up walking in the employee entrance haha good thing a lady walked us out where the mall entrance is :) whew! The show was amazing! 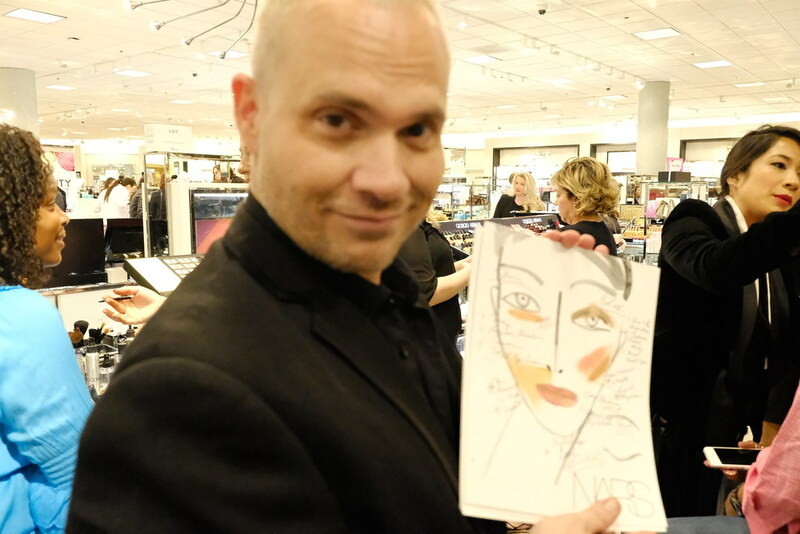 It was hosted by Nordstrom Beauty Director Kevin Sifflet! i will post the vlog about the whole show this week! Alyza won the wrap party curling rod by Drybar! she was my lucky star! Thanks Matthew Miutello for doing my make up. All my make up cosmetics are from NARS! I'm framing this amazing raw art work of all the make up that Matt use for my face! This art will be framed in my home office! He signed it for me as well! ps. the event was hosted by Nordstrom. we paid all the make up we purchased, the free dry bar curling iron was won in a raffle. not sponsored post.